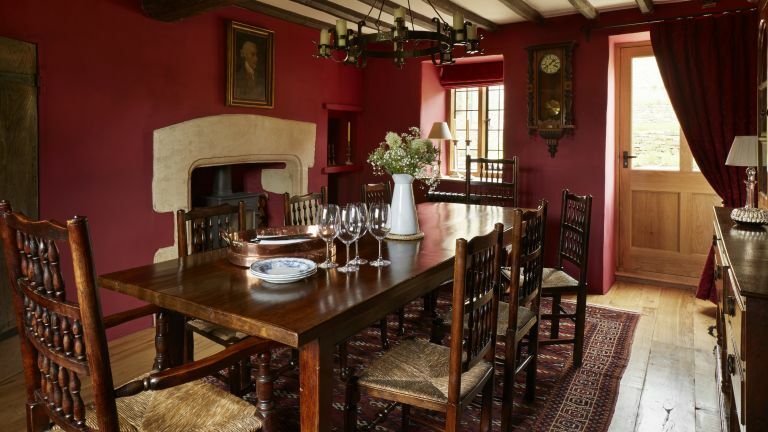 Househunting is a big part of Simon Fenwick’s life – he finds, renovates and manages period properties on behalf of his clients. And it was on one of these searches that he discovered his renovation project; Grade II-listed Elm House. Find out how he did it, then browse more of our real home transformations – there's everything from authentic cottage restorations to contemporary renovations. Read our guide on renovating a house, too, for more guidance. So, in August 2009, Simon found himself the owner of a new home. Many of the house’s original features were still intact, and Simon soon started to get a feel for the renovation that lay ahead. Having previously practised as a chartered building surveyor, before setting up his company, Simon wasn’t short of inspiration. Simon discovered that the Cotswolds are home to skilled practitioners of all manner of crafts. The builders, CN Builders, are based just down the road, carpenter Jon Hitchcock is a neighbour, and blacksmith Ben Landucci, of Iron Forged Designs, who made stair rails, garden furniture and a new front gate, is based in nearby Brackley. Simon kept his nerve, though, as a two-storey extension was built; plaster was hacked away; floors were removed; electrics and plumbing renewed; and windows replaced with oak-frame casements, left unsealed for a natural look. Such was his commitment, that he examined every plank in a shipment of wide oak floorboards from France before granting them a place as part of his floor. By February 2015, the renovation of the property into a comfortable country retreat was complete. Simon is a convert to the restorative powers of the countryside, and sees himself staying in the Cotswolds for good. ‘I am on the lookout for a bigger place with more land, though,’ he adds. ‘However, I’ve got so attached to all the things I’ve bought for this house that I’ll take them with me. Next time, I won’t be starting from scratch. The master bedroom is decorated in warm neutrals that set off the rich tones of the original beams while Simon managed to preserve enough original elm floorboards, taken from the study, for the guest bedroom, giving it a characterful look.